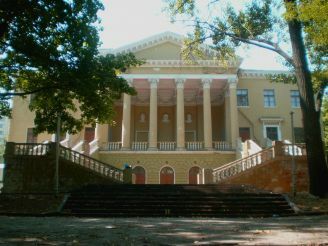 The famous Potemkin palace - one of the oldest and most prominent stone buildings Dnepropetrovsk , matching to create the design of Ekaterinoslav. Palace survived a long history of construction. 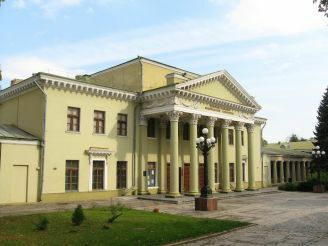 At present, there is located the Palace of culture of students of the Dnipropetrovsk National University, and during the reign of Catherine the 2 it was a luxurious residence of Prince Potemkin. From 1791, the building has long been in disrepair, then was rebuilt under the noble house of assembly. Here some time housed the Office of the leaders of the nobility. Then in 1849 he and a museum of antiquities. In times of war from 1853 to 1905 the palace served as a hospital and a workshop on tailoring for men. After the Second World War, the building burned down, by the former facilities stood only the walls and columns. 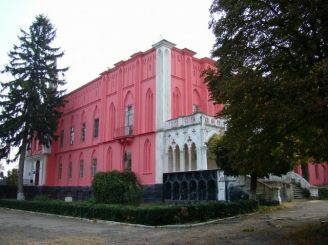 Former Potemkin palace restored by the architect A. Baranski in 1952 and transferred to the Palace of students. Large-scale project in the style of classicism. It can be conditionally divided into three parts: central and side wings. The main building puts a number of ceremonial rooms, a huge two-tone room in the middle. In the wings housed bedrooms and rooms consumer destination. Earlier, in front of a long time housed a fountain. 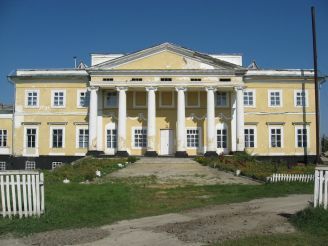 Today the palace is decorated English-style park. Potemkin`s Palace is located on the square Shevchenko 1. gaze attracted neat columns art, rising above the trees of the park to them. Shevchenko . The perfect combination of the royal grandeur and simplicity attract curious lovers of ancient architecture. Many ordinances keeps history of the building. The exact date of construction has not yet been established. It is assumed it happened in the period from 1786 to 1790 years. 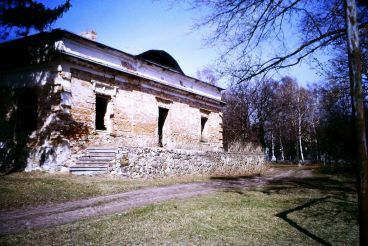 He argued that he Potemkin never visited his palace. After his death the building was repeatedly reconstructed and rebuilt. According to legend, from the basement of the palace to the river Dnepr has been traced a secret underground passage through which people can freely move in all growth.